With over 80 years experience of manufacturing stoves, Franco Belge Stoves offers top quality castings and stunning period designs. With a choice of wood, multifuel and gas stoves, Franco Belge Stoves has a stove for everyone. 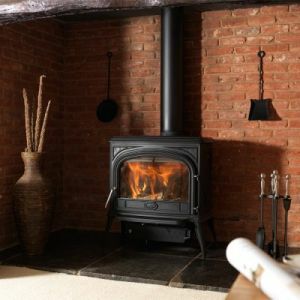 Built from the highest quality, top grade iron, Franco Belge Stoves offers you a life time of quality, whist also offering a generous range of heat outputs of 4.5kw – 15kw. Add this to the choice of sizes, Franco Belge has the perfect stove for any type of room. 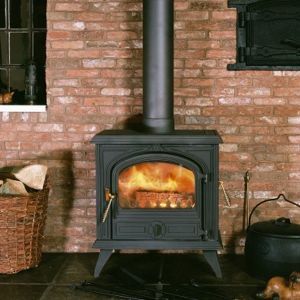 The Savoy Range from Franco Belge Stoves is one of the most popular collection of stoves. With the raised features on the doors and side of the stove being smothered to only show the outlines, offer a period style but with a modern edge. With large glass fronts you are able to really enjoy the flames of this beautiful stove. The Savoy Range of Franco Belge Stoves also has an airwash system to keep the large glass windows clear of soot. With a choice of finishes, fuel types, sizes and accessories, your sure to find your perfect stove with a Franco Belge Stove.